Moving home in the North West London area? House or Flat? Looking for nearby Professional & Movers & Packers? Casey’s Removals has taken care of house moves in the North West London area for well over 14 years hence we know exactly how stressful moving home can be. However, with expert help and thorough planning our specialist house and flat removal teams ensure every little thing runs perfectly, offering you peace of mind. We realise that every single move is as unique as you are. 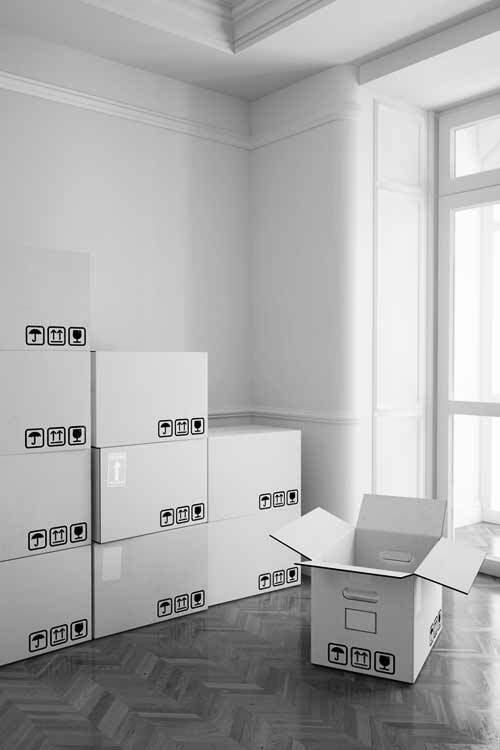 Regardless if you’re relocating to a new property across North West London, moving to the other end of the country or even emigrating, you are able to depend on Casey’s Removals’ skilled and committed packers and movers to take care of every element of your move. From your inspection, during the preparation process and right through to the move itself, our professionally well-trained staff will be there so as to be sure that the whole of your relocation performs without a hitch. What ever your needs, Casey’s Removals offers a completely flexible array of moving services that helps you to pick a move to meet your specific budget and timescale. Our prior experience has taught us that each customer has a variety of needs, which is the reason why our range of services from packing and storage to insurance cover exists so as to help make the entire course of relocating property run as smooth as possible for you. Getting a FREE moving quote is easy. You can either fill out our online moving quote form (click the link) or have one of our experienced estimators to come round and get an accurate removals price. We have always emphasized to customers just how important it is for an estimator to pay a visit to your home so we can correctly determine all your needs and requirements. As mentioned, this is an absolutely free service which in turn also gives you the opportunity to meet us as well as for you to know who will be dealing with your precious items. Simply contact us on 020 8780 2348 to arrange for one of our estimators to visit. You have nothing at all to lose apart from 20 minutes of your time. boxes and packing material delivered in a timely manner prior to the move as requested. Great fragile packing service the day before the move. Quick and efficient long distance move to storage with minimum disruption. prompt and delivered service as agreed. 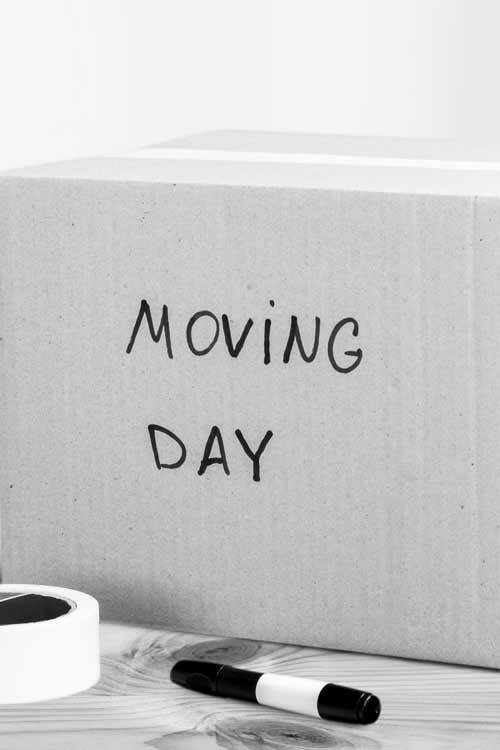 Positive experience with friendly and polite staff which made the move a less stressful experience that it may have been. We offer comprehensive packing services with regards to all home and residential moves. Our dependable and courteous packers movers are available to disassemble and carefully pack all of your home furniture and belongings. We are experienced in packing delicate items for instance, glassware, ornaments and electrical devices, employing the best packaging material to make certain protection en route. Given that we provide no cost goods-in-transit and public liability insurance on all home moves, you can feel confident that your possessions are thoroughly protected. Our Full Packing Service saves you both time and effort. We will pack up everything in your home taking special care of all your more fragile items. If required, we can likewise arrange to unload all your personal belongings at your new home, just let us know if you require this service. Sometimes we find that our customers are quite happy to pack most of their belongings but are not too sure about how to pack their more delicate and fragile items, such as glassware, plates and dishes, their antique clock. They would prefer we pack those. That is why we have a Partial Packing Service. Just ask about it when you call. There are times when budget may be an issue or you would much prefer to pack and unpack your personal belongings yourself. That’s ok too. We will deliver to your front door all the moving boxes (in various sizes) and packing materials (wrapping paper, packing tape, etc) that you will need. Just ask about our Self Packing Service when you contact us. Short and long-term storage may be need for a number of reasons. Short-term storage is really intended for storing anything temporarily, from a few days to a few months. 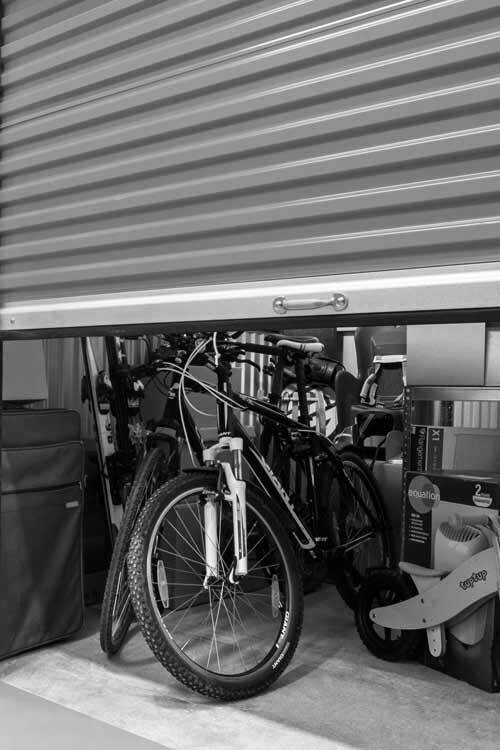 While long-term storage is great for storing items for a much longer period. Short-term storage is most suitable for items you basically really need to keep for a matter of months. Doing this can certainly be beneficial with regards to customers that are moving to a new house or flat but have a time frame between moving from one property to the other where they require to live in rented property for a short period of time. This rented property may be fully furnished so they need somewhere to store their furniture and personal belongings. Another reason may be that you have decided to decorate or add an extension before moving in, so it would be easier to store your items while the decorating or building work is being done. For example, long-term storage benefits people that are relocating or moving overseas as a consequence will require to store household furniture or many other items for a longtime. Long-term storage would definitely also be good for those people that have moved and downsized to a more compact property, which may mean they need to place excess furniture in storage. It is also great for storing sentimental items that you just cannot fit into your present home. If you live in the North West London area and are moving home and have a piano that you want to move with you, Casey’s Removals can help. We have the appropriate tools plus skills to relocate your beloved piano in a risk-free way, whether that be an Grand, Baby or Upright. Our piano movers are fully trained and insured in order to deal with piano removals of numerous kinds. We are insured against any kind of damage that may take place to your instrument. Being a reputable piano removal company in the South East, we serve all local areas across London, Kent and Surrey. 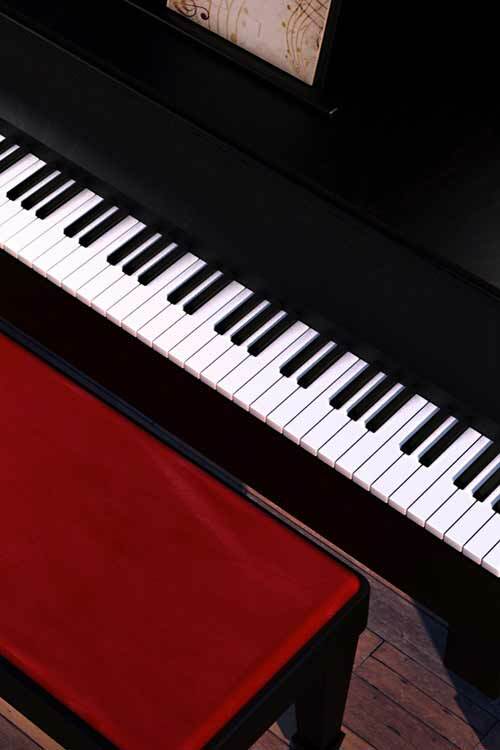 On the occasion that you are seeking a reliable Piano moving company then speak with our team. We have a team of highly skilled and professional piano movers who come with more than 14 years of expertise in moving both large and small pianos. Piano moving is not like furniture moving and it requires much more care together with specialist knowledge so as to remove a piano from one site and moving it to another locality without causing any damages. Why use us to move your piano? Call us today on 020 8780 2348 to learn more and get a FREE piano moving quote. Considering that properties have become smaller over the years with constricted doorways and many of us are now living in high rise apartments, it becomes increasing tough to get that lovely modern sofa/American Fridge Freezer/display unit etc through the door or up the narrow stairs. We can solve this! Our platform Furniture Hoist is able to get over these types of challenges in a rapid and risk-free manner. It is able to take a maximum load of 400kg and reach up to 24m. 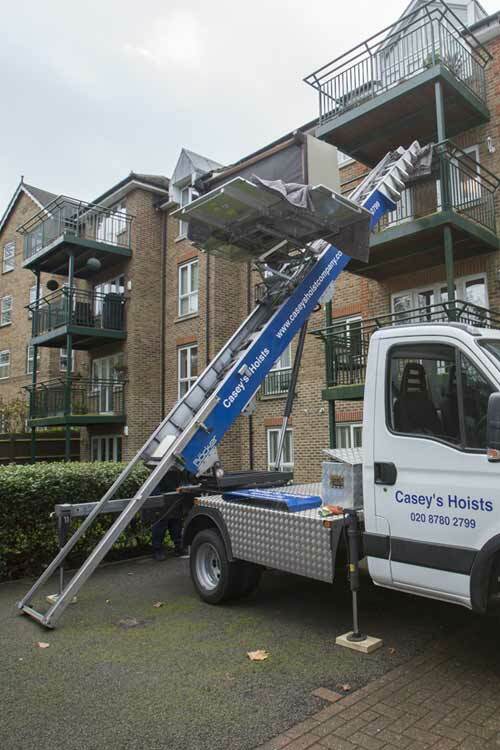 The hoist can be hired as part of a full moving service or as a standalone service. We not only make the most of it with regards to local residential moves, yet moreover in an array of businesses such as Landscape Gardening (on roof terraces), Construction, Blind Fitters, Piano removals and a lot more. We are able to also supply related professional services, e.g. further labour and even window removing. If you need large furniture, such as a king sized bed or sofa hoisted over a balcony or through a window, then call our team today on 020 8780 2348 to get a hire quote. • Along with our extensive house relocations service, our company also supply a comprehensive intercontinental removal service together with professional guidance on packing, shipping and storage as needed. • Operating a line of modern vehicles, all teamed by trained home movers. • With more than 14 years of practical experience inside the moving and removals industry, we are a family run removal and house moving business in the London region and are proud of our reputation for highly competitive prices, a large range of services, professional approach and devotion to constantly accomplish the very high criteria we set ourselves. Are You in Need of a Professional and Trustworthy North West London Moving Firm? In case you’re seeking reputable removals near North West London, why not contact one of our friendly members of staff? We’re on-hand to help from 8am to 9pm, 7 days-a-week, irrespective of how big or small your challenge or query may seem! Looking to find out much more with regards to North West London removals? Then just click link.